The chief minister urged people to defeat the combination of the Congress, BJP and the Left. Beldanga/Bhagwangola (WB): West Bengal Chief Minister Monday accused Congress of taking help from RSS to win elections and urged to the people to defeat the “deadly” combine of the Congress, BJP and the Left. This tactics of the Congress-Left-BJP combine will be given a fitting reply by the people of Bengal. 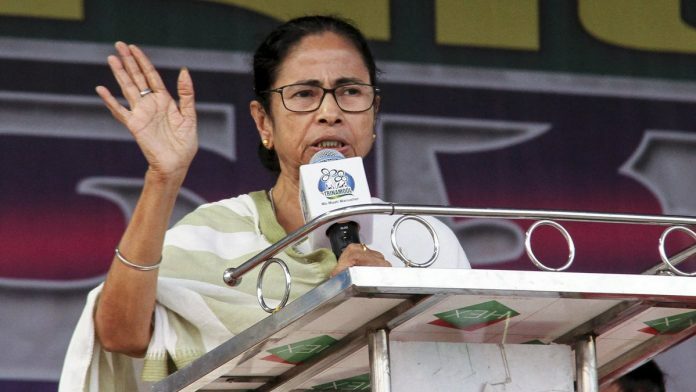 The Trinamool Congress will win all 42 seats in West Bengal by defeating this deadly combine,” she claimed. Referring to BJP’s stand on implementing NRC in the country, Banerjee said she would not allow it in West Bengal. “We are confident that we will foil this misadventure in the state,” she said.